Today after you reach the Chennai airport or railway station, a representative from Travelogy India takes you to a pre-booked hotel. After some rest and relaxation, you head towards the Kapeeleshwara Temple. 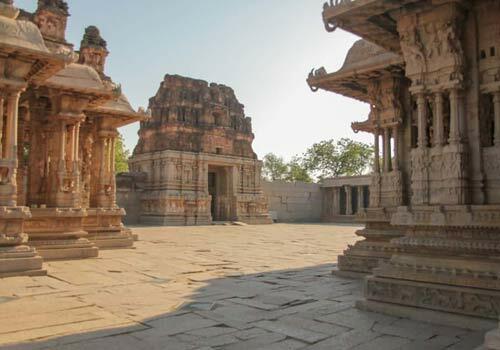 the Parthasarathy Temple portrays tales from the great Indian epic, Mahabharata. Followed by visit to The National Art Gallery, Fort Museum and Santhome Church . Evening walk at Marina Beach . Drop back to hotel, Overnight spend at Chennai. 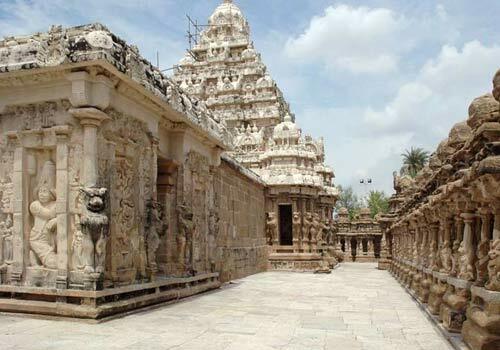 Today after breakfast you head towards the temple city of Kanchipuram. Your first visit is to the Vaikuntha Peruma temple. While the three 'garbagriha' represent the typical South Indian temple structure, the sculptures of the shrine are rare, narrating the history of the Pallava dynasty. Your also visit the Varatharaja Temple, Kailasanatha Temple and Ekambareswara Temple. Your next destination is to the land of excavated temples, Mahabalipuram. Made of granite blocks, the Shore temple is an architectural masterpiece; located at the shores of the Bay of Bengal, divinity reaches a different dimension here. There is an overnight stay at Mahabalipuram. Today after breakfast you head towards Tanjore. 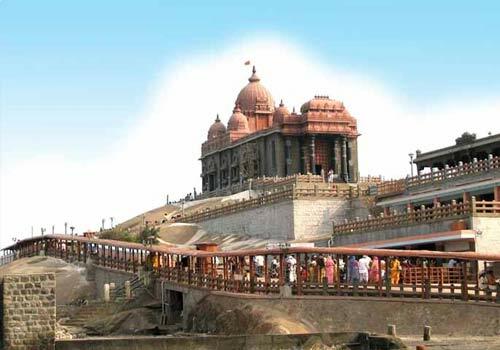 On the way you can visit Pondicherry, the cloak of universal brotherhood. Churches of Pondicherry, Sri Aurobindo Ashram, Gandhi Statue , Auroville and French colony of Pondicherry. Carry on drive to Pondicherry, On arrive check in to hotel, Overnight at Tanjore overnight stay at the hotel. 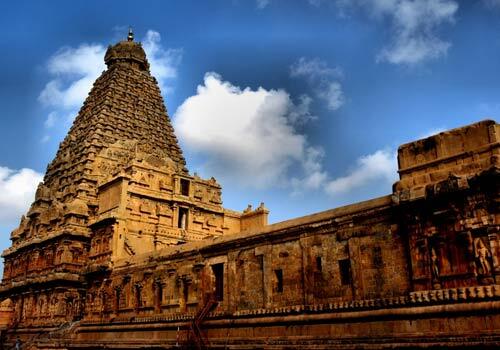 After relishing an authentic South Indian breakfast today you can explore the sacred Tanjavore paintings and The Brihadeeswarar Temple is the heart of Tamil architecture. This UNESCO world heritage site features tall 'Vimana' of 66 metres. Later in the day you begin your journey to Madurai , Enroute visit to Trichy, another marvel of South Indian architecture. Besides the historic site of Lord Clive’s residence, the old temples of the place are divine. 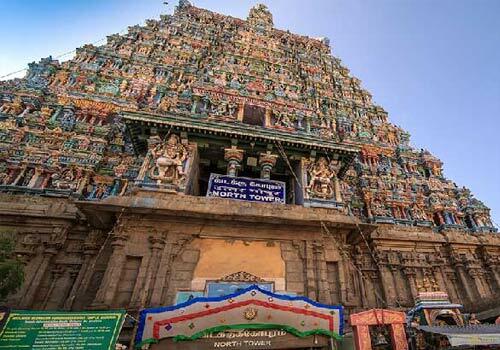 While the Srirangam temple is considered to be the most important of the 108 prime Vishnu temples, the Rock Fort Temple is a treasure of legends. The Ucchi Pillayar Vinayaka Temple offers a panoramic view of the complete city, being located on a rock, at a height of 273 feet. Continue drive to Madurai. On arrive check , Overnight spend at Madurai. 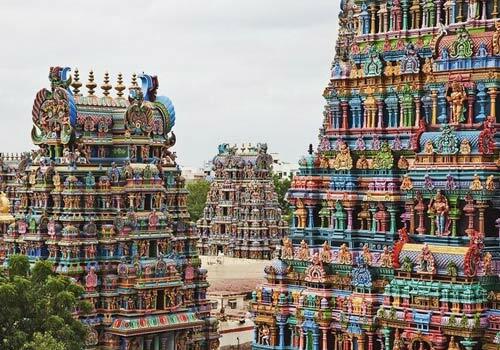 Today you tour the most amazing shrine of South India, the Meenakshi Temple. 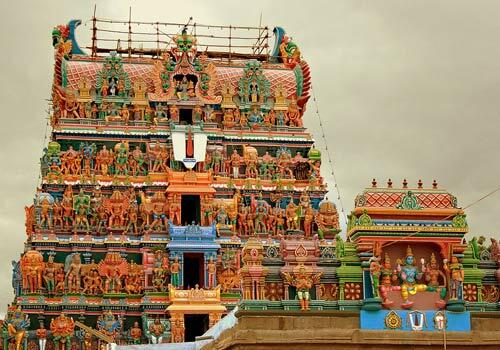 This 2000 years old shrine surprises tourists with its majestic towers and gopurams; the temple is a city in itself. Epitome of Dravidian architectural style, the Hall of Pillars is surprising as you get a straight view of the pillars from every angle; every pillar creates a different melody when tapped. 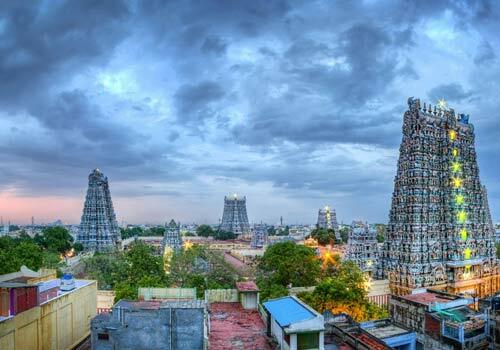 After checking out the Thirumalai Nayak's Palace and Gandhi Museum and night ceremony of Madurai temple you return to the hotel for night stay. Morning fly to Chennai, On arrive Chennai enjoy some shopping at local markets, Overnight spend at Chennai. After breakfast drop to Chennai airport to board on flight to onward Journey, Tour Terminates Here.